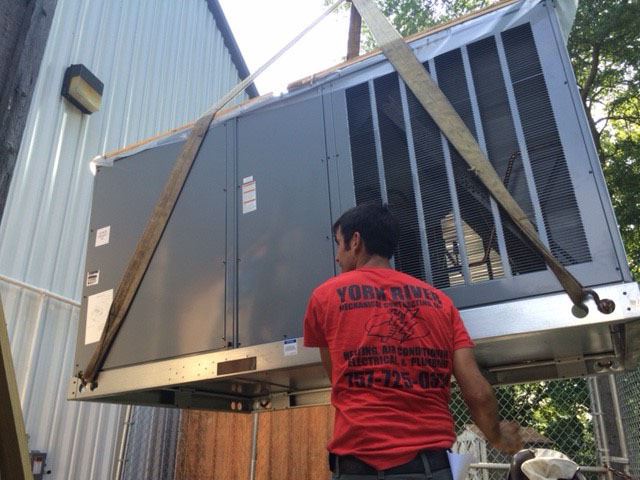 York River Mechanical is a full-service HVAC contractor specializing in sales, repair, and installation. We provide prompt, professional service to keep your heating & air conditioning systems running efficiently. Because we only hire trained technicians, we can typically diagnose your HVAC system and take care of standard repairs in one service call. If you need a replacement system, we can usually give you an on-the-spot estimate. Our pricing is competitive for high-quality, personalized service, using parts and systems from leading manufacturers. For more information, give us a call, or make an appointment through our convenient online scheduling page. We stand behind our work, and are committed to your satisfaction. We guarantee our HVAC system installations and offer a parts and labor warranty in addition to all standard manufacturer’s warranties. Details available upon request. York River Mechanical is an authorized dealer of American Standard heating, cooling, and ventilation equipment. American Standard is consistently rated one of the Top 3 HVAC Manufacturers by Consumer Reports magazine each year.